Read what recent customers have to say about their experience! This is the only place we shopped for our RV; didn't feel the need to go anywhere else. The salesman, Derek Lemaire, was very sweet, helpful & is a very knowledgeable salesperson. We were very amazed with the 2 hr course to learn to operate the RV; we left there feeling a lot more comfortable going out on our 1st trip! We love it & wouldn't change a thing about it! Everyone is very courteous & the location is very convenient. We did have to return the RV for a minor problem & they were very prompt with repairing it & we are very satisfied! The parts store has great prices & the 2 salesmen are very helpful & courteous. We are Very Satisfied with our RV & tremendously enjoying it. So glad we bought with Gauthiers'; we would recommend y'all to anyone thinking of purchasing an RV. Thank y'all so much for everything! Very satisfied with customer service. Thanks! Patrick was a wonderful and very patient salesman. Everyone always knew what was going on with our sale and we were always greeted with a smile. Extra thanks also to Mike, the service department is always on point! That is one big reason we came back to Gauthiers' for our 2nd camper! I would definitely recommend Gauthiers' to others, as I have done in the past. They have always been courteous and exceeded my expectations. Michael & John in service were both extremely helpful with a recent problem. They both went out of the way to help me. Thanks! Wonderful experience at this dealer. Loving our new toy hauler. Called service department one time - very helpful! Had a problem with camper when purchased it, but it was taken care of. Satisfied with work done on it and in the amount of time. Great service in service department! All together awesome experience! Thanks a bunch. We are loving our new 5th Wheel camper. We will be enjoying it for years. We really enjoyed the R-Pod so far. In fact we went camping several times since we purchased it. Sales, service and the parts store are excellent to work with! We've been delighted to do business with Gauthiers' RV Center. Our purchase was made easy, delivery was outstanding, and follow-up service has been excellent. From the sale to our current use, we rate Gauthiers' RV Center and 100% of their staff a 10 out of 10. Love my new camper, had a few issues that were minor, but was taken care of promptly. Saw R-Pod on Interstate and looked it up - After our first trip with the Rpod, we had problems with the left wheel on the Rpod. The brakes were not releasing right and causing the wheel hub to get very hot. Gauthiers' replaced it in a timely manner, and the shop foreman was extremely nice! These guys are the best - treated us very well. Well explained - always helpful on our 15 trips their deciding. We are already looking forward to a new camper in a couple years. I will go no place but Gauthiers! Saw comments on Facebook post about your service! We love our 2017 Rockwood Mini Lite 2506S and have gotten several compliments about it being the perfect layout! Our salesperson was very nice and very helpful. Everyone is so friendly! But Harry has got to quit going visit & bringing boudin! =) Thanks guys! All the staff at Gauthiers' was very helpful and friendly. We have recommended Gauthiers' to our family and friends. Thank y'all very much - everyone was very courteous to us, really enjoy my camper. Yes I would recommend anyone to y'alls place. Thank you all again! We were very pleased with our whole experience. Was very pleased with salesman Damien. Really appreciated Mr. John taking the time to be sure the camper would fit in my driveway. Really enjoying our camper! We love it! Very helpful, knowledgeable, and all out great experience. Enjoyed buying our camper there. They made us feel welcome & wanted. We were not shunned like some other places shunned us. Service department has treated us very well, we are really satisfied with Gauthiers' RV Center. We have shopped in your parts department before we made our purchase. Love the service! Fantastic bunch of folks. I'm very happy with my purchase and would recommend them to everyone I know. Patrick was awesome & very friendly. Just needs to be a tiger!! Ha ha. Geaux Tigers and Gauthiers!! Our salesperson was very friendly and we hit it off. Enjoyed every visit. Everyone was fun to talk to. Salesperson treated us like a friend. Everyone at Gauthiers' was 1st class!! Awesome customer service, friendly associates. We love our camper so much! Our friends even fell in love with it, so they just bought one also. Everyone is so nice at Gauthiers'. We were treated like family and will definitely be back again! Gordon was very helpful & we highly recommend him. Thanks! Best large purchasing experience ever. Entire staff followed through on every promise! Honesty and execution defined!!!!! My wife and I found a great deal on 5th wheel online at Gauthiers'. We were a little nervous since we had to drive 7 hours to get there, but Patrick ensured us it was a very good deal. When we arrived, the entire Gauthiers' staff made us feel at home. They got us in and went over the trailer, looked over my self-installed hitch to ensure it was safe and got me back on the road in no time. The Gauthiers' customer service is top notch and a role model for all other businesses. Thanks to Patrick, John, Trish and to the entire Gauthiers staff for such a pleasant experience. Was very pleased with the quality of service here. Not only at time of sale but when we had to use the service department. Thanks for all your help with this purchase. Everyone was courteous and helpful. Had never dealt with insurance before and you were a tremendous help. Thanks again! Gordon was a huge help - great guy!! Our salesperson went beyond our expecations. He was great! Thank you for your kindness and your courtesy. We would recommend Gauthiers' RV Center to anyone looking to purchase a camper. We'd like to especially thank the mechanics who installed the hitch. This is our third RV we have purchased. This is the first time from Gauthiers'. The other RVs had been purchased from two different dealerships. The RV at the camping show we were looking at would have required a lot of modifications. We were told it would be best to order one just like we wanted. We were glad we took the advice and ordered what we wanted. The factory rep from KZ who was at the show was a big help also. We are very pleased with the service that Gauthiers' has given us before and after the purchase were complete. The demonstration of the RV by Jonathan was the very first time that we were given such a detailed explanation about all the functions of our RV. From the assistance by the other sales reps you can see the team work at Gauthiers'. I had to come back for a pin box installation and Jason the service manager worked with me on a time convenient for me. It was also nice when asking Jason about a light problem, he told me some things to check. I still have not solved it so I might have to bring it in, but knowing how busy you are in the summertime this small problem can wait. This was done over the phone. A lot of problems I feel I can correct with some direction. In the past purchases we were not ready and fully equipped to put our personal belongings and go on a trip. Unlike when we took ownership of our RV from Gauthiers'. They gave us all necessary equipment to begin our camping trips such as plugs to connect our rig. We would also like to thank Amy for helping us with Notary work and for a pleasant closing experience. I've scheduled 2 appointments for service work. The work, time allotted, and actual time of work were exceptional. The knowledge and work ethics of the advisers and technicians were commendable. Twice I've stopped on trips to have emergency work done. In all my visits I was treated with courtesy and respect. Gauthiers' RV is atypical. Great sales, great units, great people. My new Cedar Creek 36CKTS, has been awesome. A high quality unit from a high quality dealer. I shopped for 4 months before deciding on a unit and dealer. I clearly made a great choice. Super friendly. Really family type atmosphere. I will buy my next travel trailer from here in future. Very happy! 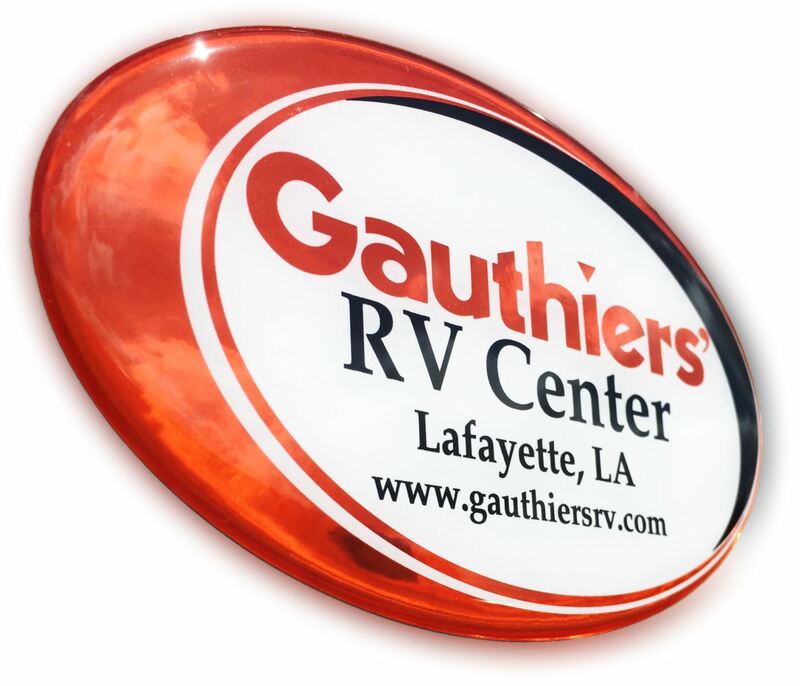 We enjoyed shopping for an RV from Gauthiers'. NO NONSENSE. We have really been happy with our Rockwood. Patrick was a great salesperson. We had a great experience! Everyone was helpful and courteous. We have already recommended Gauthiers' to our friends and family. You had the camper we were looking for at the price we needed! We will definitely be back! Nicer than all other dealers. I live in Scott where Gauthiers' is located and made it my first and last place to shop. Everyone is very nice and helpful when you are at Gauthiers'. We told them what features we were looking for in a camper and they took us right to it. We baught a 2013 Palamino Columbus and have enjoyed every minute in it. Thanks Gauthiers, Keep up the great work. Mr. Gordon was very helpful and sold me a great product for a good price. I have dealt with the service department and consider them top notch. Thank you! Everyone at your dealership was very friendly and helpful will tell others about you. Thank you for a pleasant visit. I searched a lot of different dealers before choosing Gauthiers. Glad I did. Very friendly and they know their campers. Appreciated the prompt service with a minor problem on the way out of town on a camping trip. Thanks to Mike & Damien! This RV dealership is outstanding in every department. We purchased a small travel trailer earlier this year after meeting with the sales people at an RV show. Once we were hooked on camping, we decided to purchase a larger unit. We bought a Cruiser Viewfinder V24SD and absolutely love it. It is the perfect size for us, has some great features and is light enough to pull easily with a Chevrolet Silverado. We had one issue with the refrigerator that stopped cooling. We took the trailer into the service department and within 30 minutes they had diagnosed the problem, fixed it and we were on our way home. After sales service doesn't get better that that! All the staff are very friendly and know their products. The sales people are low pressure and they allow you to browse. Unlike other RV dealers, they listen to what your needs are and find something that will suit your needs. When we picked up the new unit, they went over every feature and made sure we fully understood how everything worked. I cannot say enough good things about this dealership. They have obviously worked hard over the years to build their reputation and provide outstanding service to their customers. They all have such a friendly attitude and always want to do the right thing. If you are in the market for an RV, you will not find a better dealership than this one. Have been a long time customer - almost 20 years! Great service with sales dept, service & parts dept. Any problem was always taken care of with a smile. Would never go any other place. We liked the ease of walking around looking at each unit without rushing. This is the third RV we have purchased from Gauthiers' over the last 20 years. We have been very pleased with the RVs as well as the sales/service. We love our Rockwood and have already received help with questions we've had - Very, very pleased!! Great experience dealing with Jim & John. Our TT goes in the shop for a few things next week. Hoping this will be great also - I have already recommended Gauthiers' to others. Everyone we spoke to and dealt with were very friendly and helpful. Their knowledge on every camper we looked at was impressive. We are very satisfied with our 2017 Rockwood Lite. Have gotten plenty of compliments on how nice and roomy it is. I just love it. Patrick Sonnier was our sales person and everyone made our purchase very smooth and everyone was helpful & kind. Will definitely refer Gauthiers' RV Center to friends & family - Thanks! One of the few local dealers who had the T@B clamshell - Jim and staff were fantastic!! From the first time I talked to Derek it has been first class. Even after the purchase, he has still helped me anytime I have messaged him. Derek is an awesome salesman! Great place, very helpful and curteous. Love the "no pressure" style! Patrick was awesome to work with! Patrick in sales was great to deal with. He gave us wonderful advice about cashing in a previous extended warranty which helped us to sell our previous RV :) Jason in service is also extremely helpful. We are recommending Gauthiers' to everyone we know! Thank you! Our experience buying our camper was very nice. Everyone was so kind, patient & friendly. We will definitly recommend our friends to your dealership. We really enjoyed our experience with purchasing an RV from you guys. Very good customer service. Thanks! Everyone was very nice and friendly. Patrick was very helpful & courteous. Excellent customer service! We had a couple minor issues that were resolved with no problem. We will recommend them to anyone. We won't go anywhere else. The cleanliness of your office and orderly sales yard for the campers were huge selling points & the motivation to use your dealership. Sales team was courteous & knowledgeable. We came during a peak time to shop and they managed to stop in often even with their busy schedule showing other shoppers the products. Thanks for making us feel at home with the first camper purchase. Jim & his team run a top notch dealership. Service and relationship after the sale is what keeps me coming back! The staff at Gauthiers' made the whole experience of buying our new camper fun. This is our first new camper purchase and I would recommend Gauthiers' to my friends and family! P.S. I live 20 minutes from two large dealers near Hammond, LA. After reading reviews and a visit to each, our choice was clear! Thanks again! This is the third buy that I did with Gauthiers' and all three I have been very satisfied with the sales and service. Overall, very positive experience. Thanks! We shopped around for two years and visited many dealerships and salespeople and makes and models. We were never more comfortable with any dealership or salesperson than we were with Gauthiers' and Derek. Thank you Gauthiers' and Derek for making this experience an enjoyable one. We had a few small minor issues after purchase that the service department took care of. Great service! My horse trailer is adored by many. We are totally in love. Still waiting on LED lights to cover up a tiny dent on the top. Great people. Mr. Jim and Mr. Rocky were great. Thanks so much! Bought my 1st RV with Gauthiers' RV in 1999. This is my 3rd RV with Gauthiers' RV. I would NOT think of buying anywhere else. Thanks for everything! Hey Jim you have an excellent reputation. Keep doing what you do & you will always be on top. That is most important. Thanks! Everyone at the dealership was friendly and courteous. Jim Gauthier was very knowledgeable of the camper and was very helpful in making our decision to purchase the RV. Our salesman was awesome! He went out of his way to get us to the pricepoint we needed to be. Very knowledgeable and courteous. Mr. Gauthier was very patient in explaining all the 'mechanics' to us. Great Experience! Loving our Camper! Absolutely satisfied with camper, salesperson, & warranty repair. Had a small issue after we purchased the camper & service department was so helpful and went above and beyond to resolve our issue. I think service manager [Mike] was very helpful. Also a Gauthier (can't remember his name but he was in service) very very helpful. Salesperson Gordon was the best ever and really, really helped us and was very honest and straightforward and that's what we were looking for. Definitely satisfied and we have already recommended people to go see y'all. Sales and service is why we bought from Gauthiers'. Everyone was so helpful and took a lot of time with us. I have and will continue to recommend Gauthiers'! We were very satisfied by the service provided and are enjoying our camper very much! Wonderful family memories. Unlike the dealership we previously dealt with, Gauthiers' employees give you one on one attention. They did not treat us like a 'number'. I would 'HIGHLY' recommend Gauthiers' RV Center to anyone looking for great service even after the sale! Derek was an excellent salesman. Third camper purchased from Gauthiers' - always great service. In all the years and all the campers we had and used, this camper by far is the best and has given us the most pleasure. Love Gauthiers'! Great people - Great Service! Derek was a huge help in our decision on buying our Surveyor. Great salesman staff!! Very satisfied with everything and everyone. Thank you! There is no other place better to purchase a camper. We feel like family when we go to Gauthiers' RV Center. We are definitely spreading the word!! Complete Satisfaction. Very pleasant experience. Look forward to our continued relationship. It is always a joy to deal with businesses that sell quality products. Love it. Having so much fun!! What impressed me to deal with you the most was what I heard about service after the sale. ALL RV's will have problems with them. That's why I wanted a dealer with good service. Our salesman Derek was very helpful & super nice throughout the entire process. He was not pushy & we felt comfortable working with him. Great service! Thanks again! We just picked up our new 2016 Spree 262RKS on Saturday Oct 3, 2015. Like the whole sales/purchase process at Gauthiers', we were treated warmly and given a thorough orientation in the systems of our new baby. As is not uncommon, a small number of minor factory issues were discovered which were dealt with immediately and corrected before we left. Hard to beat that kind of service. As for the purchase process, our main contacts were with either Jim or Jonathan Gauthier. Both were very patient, low pressure, and very helpful with advice in order to insure we had a good match of tow vehicle and trailer. When it came down to final decisions, our wants and needs concerning options etc. were put ahead of any sales consideration. I always felt like my best interests were foremost in the minds of Gauthiers' RV. I can foresee a good future of many years of a friendly customer/dealer relationship. Great dealership! All service personnel are friendly and very helpful from sales to service. Everyone was very helpful and curteous with both purchases we made. I was able to call and get proper help and information that saved trips back to the dealership. Mike & Nick have been phenomenal! They are a great asset to your company! Had a few problems with camper - Brought it in and it was fixed without question, Great Service! Derek is my salesperson. He is the best - Thank You! Please use the form below to send us your feedback and story. We'd love to hear about your experience shopping with us and we will not post your e-mail address or last name without your permission. While you're at it, please give us a like on Facebook and feel free to follow & review us on Google+. Much appreciated!